In A Primer on Dietary Fats – Part 1, I looked at some basic concepts related to dietary fat/lipids including the different primary types of lipid (triglycerides, cholesterol and the ‘other stuff’) as well as the difference between triglyceride and cholesterol. Finally, I looked at the issue of dietary cholesterol and blood cholesterol briefly. Today I want to finish up by looking at more detail at the issue of dietary triglycerides. As I mentioned in Part 1, dietary triglycerides (TGs) make up the bulk of the fat that we consume in a day, providing over 90% of our total fat intake. Therefore, understanding what the different ‘types’ of TG are along with how they affect the body is important. As I mentioned in A Primer on Dietary Fats – Part 1, a fat/TG molecule consists of three fatty acid chains bound to a backbone molecule of glycerol. And while people tend to talk about different types of fats (e.g. saturated fat or unsaturated fat), it’s actually the specific fatty acids that differ in terms of their chemical structure. For simplicity, I’ll simply refer to the different types of ‘fats’ and leave it at that. And there’s no reason for me to go against that grain. 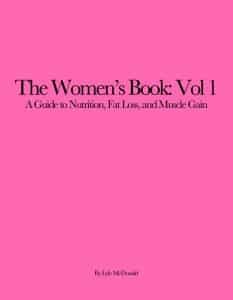 Below, I want to look briefly at each type of fat, where it’s found in the diet, what types of effects it has on the body, and address any of the lingering controversies that currently exist. Since there is little to no debate or controversy over the role of trans-fatty acids (often abbreviated TFAs) in human health, I figured I’d tackle it first. In recent years, it’s fairly safe to say that trans-fatty acids (aka partially hydrogenated vegetable oils) have gotten the most press in terms of their negative health effects. And there is much truth to this. Trans-fatty acids are a semi-solid fat which are made by bubbling hydrogen through vegetable oil (hence the name partially hydrogenated vegetable oil). This is done to make vegetable oils (which can often be unstable and go rancid) more shelf-stable; that’s important when foods sit on the shelf for a long time. Margarine is a classic example that most will be familiar with, a semi-solid made by bubbling hydrogen through vegetable oil. And while there are naturally occurring trans-fatty acids that occur in small amounts in foods, quantitatively most of the trans-fats that people will consume will come from the intake of processed foods. The problem is that the process of partial hydrogenation changes the chemical structure of the vegetable oil from what is called a cis-configuration (the form that most dietary fatty acid are found in) to a trans-form. Hence the name trans-fatty acid. Without going into a lot of unnecessary details, simply accept that the body is meant to use cis-fatty acids, not trans-fatty acids; it’s got to do with the chemical shape of the fatty acid. For that reason, intake of a large amount of trans-fatty acids causes a number of problems in the body. TFA [trans-fatty acid] consumption causes metabolic dysfunction: it adversely affects circulating lipid levels, triggers systemic inflammation, induces endothelial dysfunction, and, according to some studies, increases visceral adiposity, body weight, and insulin resistance…Consistent with these adverse physiological effects, consumption of even small amounts of TFAs (2% of total energy intake) is consistently associated with a markedly increased incidence of coronary heart disease. Now, I’m rarely a fan of nutritional absolutes but this is one place where I’m willing to make one: trans-fatty acids really have no place in human nutrition and this is a place where there is little disagreement in the field. They provide absolutely no benefits that I’m aware of and their impact on human health would appear to be wholly negative. If there is another fat over which there is really no argument or controversy in the field it’s monounsaturated fat. At worst, monounsaturated fats are fairly neutral from a health perspective (especially in terms of the effects on blood cholesterol levels) and there is also evidence that intake of monounsaturated fats may have health benefits. Quite in fact, it’s thought that part of the benefit of various Mediterranean diets is related to the large intake of olive oil (arguably the primary dietary monounsaturated fat) in the diet. It’s certainly worth mentioning that other aspects of their diet such as a large vegetable/anti-oxidant intake is assuredly contributing to the good health observed; that is, it’s not just the olive oil. In any case, outside of being a source of calories (excessive calories causing fat gain, of course), there’s no real indication that mono-unsaturated fats have any real negatives in terms of human health. The primary mono-unsaturated fat is oleic acid which is found in very high amounts in olive oil (hence the name). It’s worth noting that oleic acid actually tend to be the primary fatty acid found in most ‘high-fat’ foods (you can check this for yourself at the USDA database) including the ones that most think of as containing large amounts of saturated fat. A couple of examples appear in the table below. Because of it’s prevalence in the food supply, olive oil will often make up a fairly large proportion of someones total dietary fat content without much effort. However, when people are looking to ‘add fat’ to their diet (for whatever reason), it would be hard for them to go wrong in using a source of mono-unsaturated fat or Olive oil. It can be added to salads and I know of some brave souls who throw it directly into protein drinks when they need to raise calories. I’d mention that, for people (like me) who don’t like the taste of olive oil, there is a high oleic safflower oil available for people who want to add more oleic acid to their diet. For a couple of decades now, saturated fat has been the veritable whipping boy of the nutritional world (forced out of the number one position by trans-fatty acids only recently). Blamed for everything in the world including heart disease and probably terrorism, saturated fats have received the brunt of negative press when it comes to the issue of dietary fats. However, in recent years, there has been a counterargument regarding saturated fat intake that they are of no health risk at all, that the real problem is with excessive polyunsaturated fatty acids/vegetable oils (discussed next), etc. This has led to a lot of confusion for people. Now, anybody who has regularly read this site knows that I tend to shy away from nutritional extremism, I usually find that whenever there are competing extremist positions, the truth generally lies somewhere in the middle. This is certainly the case for saturated fat in my opinion. Now, for anybody who reads nutritional research, there is little to no argument that saturated fat can cause a variety of problems. Whether you’re looking at blood lipid levels, inflammation, etc. there’s really little debate in the field and there are a zillion and one studies that support that excessive saturated fat intake can cause a variety of health problems. However, as always it gets more complicated. A a huge part of the problem is that the term saturated fats actually refers to a category that includes a number of different fatty acids. Lauric acid, palmitic acid, stearic acid and many others are all included under the general heading of saturated fat. And at least part of the problem is that they don’t all act the same way in the body. Some specific saturated fatty acids have distinctly negative effects on the body, others do not. For anybody truly interested in the science of this topic, I’d recommend the paper Saturated Fats: What Dietary Intake which examines the issue in some detail. As well, as I have discussed in other articles on this site such as Carbohydrate and Fat Controversies Part 1 and Carbohydrate and Fat Controversies Part 2, I think there is a huge issue of context in terms of the effect of saturated fat (or any nutrient for that matter) on overall health. For someone who is lean, active, eating plenty of fruits and vegetables, who is in caloric balance there appears to be no real danger (in a health context) to an increased intake of saturated fats. One study I recall in cyclists found that, as long as they were in caloric balance, an increase intake of saturated fats had no impact on blood cholesterol one way or the other. It’s worth mentioning in this context that some research suggests that saturated fat is required for optimal hormone levels (e.g. testosterone) so trying to reduce saturated fat excessively may be a mistake for athletes in the first place. But not all individuals are lean, active athletes who are eating lots of fruits and vegetables who are in caloric balance. For someone who is overweight (which is an inflammatory state in and of itself), inactive (which has a host of negative health effects), is under a lot of stress, not eating sufficient fruits and vegetables, etc. , saturated fats may have a very different impact on the body. There is often also an impact of weight loss or weight gain in terms of how saturated fats affect blood lipid levels; in general when weight is lost, blood cholesterol levels improve almost irrespective of the type of fat consumed. But when weight is being gained or even maintained, often blood cholesterol levels worsen with a high saturated fat intake. I should mention that the changes that typically occur in blood cholesterol levels with changing saturated fat intake tend to occur in both the ‘good’ and ‘bad’ cholesterol fractions. That is, when saturated fat is reduced, both good and bad cholesterol typically goes down and vice versa. Therefore the overall impact on health risk is a bit more complex than many think. In any case, I think that saying that saturated fats are good, bad or neutral is too simplistic. Context, as always, is important and I find that many of the extremists in each group tend to forget that. What is drastically unhealthy in one context may be neutral or at least irrelevant in another. Which still won’t stop some very silly comments from appearing on this article as people accuse me of being ‘anti-saturated fat’. In any case, finishing up, saturated fats are found more or less exclusively in animal source products and are typically solid at room temperature. A couple of odd exceptions are coconut and palm kernel oil (both of which contain a lot of saturated fat but primarily in the form of medium chain triglycerides, discussed below). As well, milk fat contains a decent amount of saturated fat. From a body fat perspective, it’s at least worth mentioning that saturated fats tend to be stored a bit more easily than polyunsaturated fats (more accurately, when polyunsaturated fats are consumed, the body tends to burn them off a bit more readily) but the effect is not massive. And finally we come to polyunsaturated fats. Almost always liquid at room temperature (unless found in foods), the key polyunsaturated fats are the omega-3 and omega-6 fatty acids (which you’ll often see referred to as w-3/w-6 or n-3/n-6). This naming simply refers to the structure of the individual fatty acid and it’s not worth going into any more details than that. The two primary polyunsaturated fats are alpha-linolenic acid (ALA, not to be confused with the supplement alpha-lipoic acid) which is an w-3 fatty acid and linoleic acid (LA) which is an w-6 fatty acid. Among other things, ALA and LA have the distinction of being the two essential fatty acids (EFAs), that is it is essential that they be obtained from the diet for optimal health. This is in contrast to all of the other types of fat discussed, none of which is actually essential for life or health. Strictly speaking, you could live forever if you never consumed another gram of saturated, monounsaturated or trans fat. But a long enough deficiency of either ALA or LA would eventually cause a host of health problems and eventually death. It’s worth mentioning that it takes the absolutely most artificial of diets (usually completely fat free diets served in a hospital setting) to generate a true ALA or LA deficiency; even the worst diet will tend to cover bare minimum requirements of both. In fact, it took years of research to even determine that there were essential fatty acids because causing a true deficiency was so difficult. When saturated fats started to become ‘the enemy’ in the 70’s and 80’s, there was a big push for an increased intake of vegetable oils in the diet. That is, if people were going to eat a lot of fat, it was thought that eating more vegetable oils would be better than saturated fats. As always, things are not quite so simple and, as I noted above, some groups think that the increased intake of vegetable oils is actually the cause of many health problems blamed on saturated fats. Ok, now everybody is really confused, let me see if I can unconfuse things. Both ALA and LA turn out to have a massive number of effects in the body ranging from modulating gene expression, producing or inhibiting inflammation and a host of others; they are also involved in the production of eicosanoids, short-lived chemical signalling molecules that do a zillion different things in the body. It’s worth mentioning that many of these effects are mediated by compounds formed by the metabolism of ALA and LA within the body. That is, ALA and LA are sort of ‘parent compounds’ for other things in the body. For example, LA is converted to gamma-linoleic acid which may have anti-inflammatory effects (and many women swear helps with PMS). LA is also converted to arachidonic acid (AA) which is an inflammatory compound that may be involved in muscle growth. ALA undergoes extensive metabolism and can be converted to EPA and DHA (the fish oils, I’ll spare you the full names) which I’ll come back to below. Of more importance, although both are essential fatty acids, ALA and LA often have different and frequently opposing effects; in general, the effects of the w-3 fatty acids tend to be ‘good’ and the effects of w-6 are ‘bad’ although, as always it’s far more complex than that. This is important because there has been concern regarding the modern diet that the ratio of w-6:w-3 fatty acids is causing a variety of health problems. For example, it’s thought that our evolutionary diet had a ratio of w-6:w-3 intake of between 1:1 and 4:1; the modern diet contains somewhere around 20-25:1. This skewed ratio is due both to the abundance of w-6 in the food supply as well as the exceeding lack of w-3 fatty acids in the modern diet. Because of this, finding ways to boost the w-3 content of foods (such as high w-3 eggs) is a huge area of research. And it’s been argued that this skewed ratio is contributing to a myriad of health problems, not the least of which is inflammation and increased heart disease risk (with an increased intake of w-6 being blamed for the problem). Current research calls this into question, however. Existing evidence in humans, though limited, fails to show a link between higher dietary LA intake, or higher plasma LA, and greater inﬂammation in vivo. In fact, some of the data suggest the opposite may be true [my note: he’s saying that increased LA intake may be ant-inflammatory]. Because n-6 fatty acids are the precursors of proinflammatory eicosanoids, higher intakes have been suggested to be detrimental, and the ratio of n-6 to n-3 fatty acids has been suggested by some to be particularly important. However, this hypothesis is based on minimal evidence, and in humans higher intakes of n-6 fatty acids have not been associated with elevated levels of inflammatory markers…In the United States, for example, intake of n-6 fatty acids doubled and coronary heart disease (CHD) mortality fell by 50% over a period of several decades. In a series of relatively small, older randomized trials, in which intakes of polyunsaturated fat were increased (even up to 20% of calories), rates of CHD were generally reduced. Basically, a lot of the concern over high w-6:w-3 ratios may be misplaced but I’m not going to get into the debate beyond that. For the most part, I don’t think worrying about w-6 intake is much of an issue. On even the most moderate fat diet, w-6 intake will be generally be more than sufficient and trying to consume more is rarely necessary. Whether or not intakes need to be explicitly reduced and what impact that will actually have is something to let the nutrition researchers argue about for the time being. Rather I want to focus on the w-3 fatty acids about which there is far less debate; at this point about a zillion studies (+-a million) have shown benefits of increased w-3 intake on a myriad of health parameters. Decreased inflammation, improved blood lipid levels (including decreased triglyceride levels), decreased risk of heart disease, decreased depression and even fat loss have all been found from w-3 supplementation. Now, recall from above that both w-3 and w-6 fatty acids undergo significant processing in the body with ALA being converted downstream to EPA and DHA, at least potentially. It’s EPA and DHA that I want to talk about now. Readers are probably more familiar with EPA and DHA as fish oils since that is how they are typically referred to. As you might expect, both compounds are found in large amounts in fatty fish (free range animals often have a larger proportion of w-3 fatty acids as well). Quite in fact, the original interest in fish oils came from the observation that cultures (such as the Alaskan Inuit) had low rates of heart disease despite a ‘high-fat’ intake. It turned out that the large intake of fish oils were a huge part of that. And while ALA is still technically considered the ‘essential fatty acid’, it’s looking more and more like it’s actually the EPA and DHA that are doing the majority of the ‘good’ things in the body (and that they may do different things in the body meaning that they are both important). Whether ALA actually does anything indepdently of its conversion to EPA/DHA is currently being debated. And here’s why this is a problem: outside of vegetarians/vegans, the conversion of ALA to EPA/DHA is extremely small in adults. When ALA is supplemented (for example, from flax oil), the actual conversion to EPA is only about 4-5%. And the conversion of EPA to DHA is negligible; that is, supplementing the parent compound doesn’t raise body stores of DHA at all (in fact, supplementing with EPA doesn’t raise DHA either). This topic is discussed in some detail in the research review Extremely Limited Synthesis of Long Chain Polyunsaturates in Adults: Implications for Their Dietary Essentiality and Use as Supplements. But the point holds, simply ensuring sufficient intake of ALA (e.g. from flax or another vegetable oil) does not ensure that there will be a significant increase in EPA or DHA which appear to be the key fats in terms of improving health; in fact it’s almost certain that it won’t raise EPA/DHA sufficiently to be of benefit. In my opinion, the only way to ensure adequate EPA/DHA intake is by ensuring a daily intake from preformed sources. For people who consume fatty fish (or perhaps free range meat) on a regular basis, that is generally an adequate source. For everyone else, supplementing with either pills or liquids will generally be necessary to ensure a sufficient daily intake. And, as I stated in the research review I linked to above, while w-3 fortified foods are becoming available, I find that they are not cost effective; rather than buying high w-3 eggs, it’s far cheaper to buy normal eggs and take an w-3 supplement. I’m not going to get into dosing issues here since that’s really beyond what I wanted to talk about in this article; I’ll address that at a later date. An absolute bare minimum would be a combined intake of EPA/DHA of 500mg per day. A standard 1 gram fish oil capsule typically contains 180 mg EPA and 120 mg DHA (300 mg of total fish oil) so that would be only 2 pills per day. There is evidence that more may be beneficial for a variety of goals but, again, I’ll save that discussion for a later article. So what started out as a primer on dietary fats got a little bit longer than I had intended. Hopefully now you understand the difference between dietary cholesterol and triglycerides along with understanding what the different types of dietary triglycerides are and what roles they might or might not have in the body. I’ve also tried to address some of the current confusion and controversy that currently exists over the different types of fats. I also realize that I didn’t address much in the way of practical recommendations. Frankly, assuming folks are consuming a moderate fat diet (perhaps 20-25% of their total calories), outside of ensuring that they get sufficient amounts of EPA/DHA on a daily basis and mostly avoid trans fat intake, I’m not sure it’s worth being that concerned with. Most ‘high-fat’ foods contain a mix of saturated and monounsaturated fats and ensuring sufficient w-6 intake is rarely an issue unless dietary fat intake is kept extremely low for long periods or the diet is very artificially set up. It’s usually w-3 fatty acids that are lacking in most diets and ensuring their intake will do most of the good in my opinion. As noted up above, if an athlete needed to consciously add more fat calories (for example an endurance athlete who can’t meet their caloric needs), a separate source of monounsaturated fats would be the first choice. I also realize that didn’t talk extensively about Enova Oil or speciality oils like Medium Chain Triglycerides (MCT’s). That will have to wait for a later article.